Bacon USA Membership Books. Is this a ticket book like we get for Phantoms? How will it work for card holders? Stay tuned! Spring is in the air. Well, it might be later this weekend. We’re closing in on the time when the elusive DiPro emerges from winter hiding and declares that baseball season is upon us. Until then, we’ve got the opportunity to stock up on tickets for our teams. The Phantoms season is more than half over, and renewals are underway for season tickets for the 2017-2018 season. Current season ticket holders will soon enjoy the carnival and we’ll also get an opportunity to purchase additional playoff tickets shortly. Also, a “seat change” event is planned for those season ticket holders who might want to change locations for next season. Contact your rep if you’re interested. The Lehigh Valley SteelHawks will be starting their third season inside the PPL Center this March. 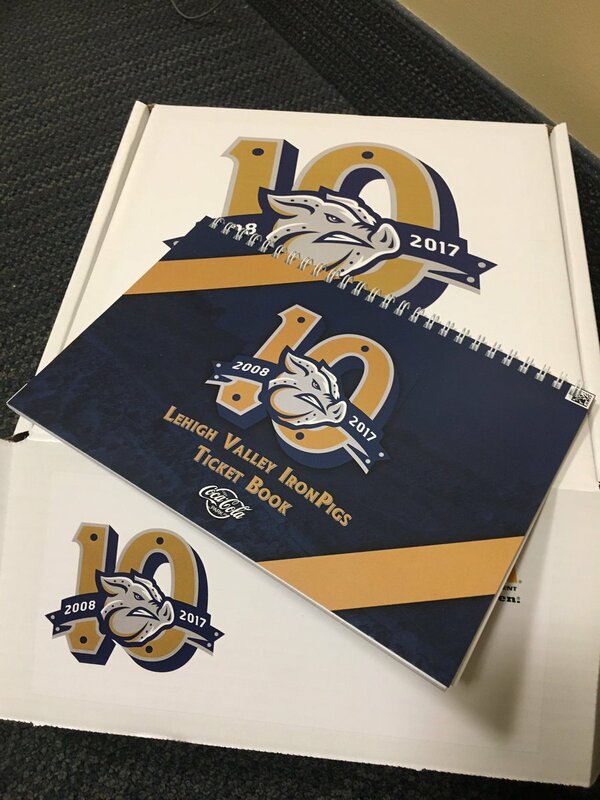 Season ticket holders will have the opportunity to pick up packages at the annual pick up party March 7th at Big Woody’s on 4th Street in Allentown. You can purchase single-game tickets at PPLCenter.com, and season ticket packages are still available–and very reasonable because they save on all fees–by clicking HERE. Opening day is Sunday, 3/19 at 4PM! The second season of the re-emergence of the Bethlehem Steel Football Club, playing their home games at Goodmann Stadium on the campus of Lehigh University, is near. The team has promised to have better weather this season! Opening day is Saturday, April 1 versus Rochester. Click HERE to check out full season packages as well as partial and flexible packages. Their full 2017 schedule was recently released and can be found HERE. This season there will be some Saturday and some Sunday games. I’m looking forward to the Saturdays when we can do Steel FC and then go directly to IronPigs! They expect to have plenty of promos and activities at the games this season, as well as a more consistent roster. There emerged last season a lively tailgate culture. Stay tuned right here for details and game coverage. Individual game tickets are on sale now for the 2017 Philadelphia Phillies. With the recent downturn in winning, quality seats are very available–I was able to score Diamond Club seats for a number of games. Indeed, I didn’t follow through with the purchase, but I could have. Check out their schedule if you think you might want to make the journey to Citizen’s Bank Park this season. Pig Day is almost here! The ‘Pigs are busy preparing the park for what should be a tremendous 10th season. The new, gigantic HD Video board is being installed right now. The PicNic Patio has been re-done. And the promotional schedule has been almost fully fleshed out. Come to “Pig Day” on Saturday March 4 for all the normal festivities, and more. This season, full membership holders will be able to pick up ticket packages and special gifts. There will be refreshments while they last and visits from the mascots. Shop in the store to check out all the new merch. Those who paid their accounts early will have the opportunity to pick up our jersey promo! Free jersey doesn’t look like “the real thing” as I was originally told. But, I’ll take it! 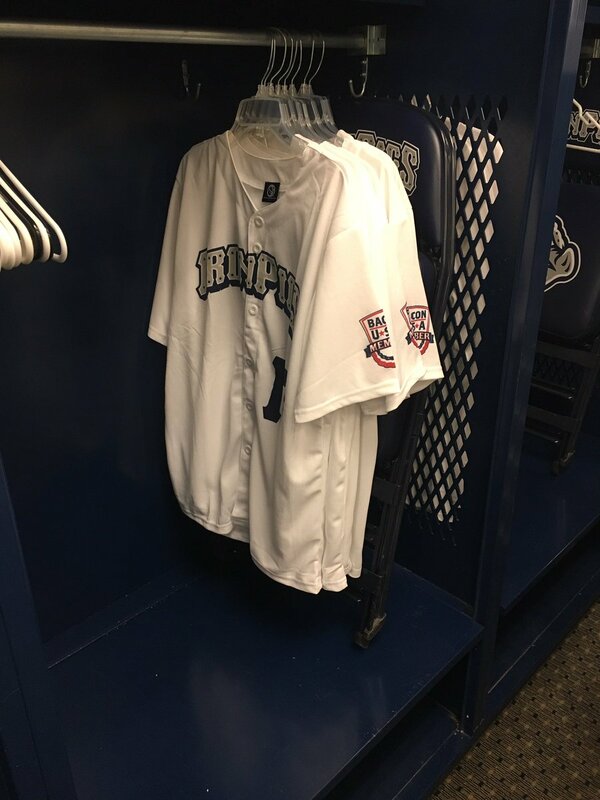 While single-game IronPigs tickets go on sale to the general public on Pig Day, Bacon USA Members can purchase additional single-game tickets right now. Check your email for the code or let me know if you need help. As always, the ticket availability is somewhat suspect, but you can lock stuff up early if you want. Also, remember that tickets are cheaper when purchased before the day of game–including on Pig Day or before. Fightins single-game tix are on sale now. Their promo schedule is HERE. Season ticket holders will be able to pick up their printed tickets at “Ticket-palooza” on Saturday February 25 from 10AM to 12PM. And, hey, I’ll see you at the parks, the arena and out by the pitch! ‹ Phantoms: Are They Ready?